After spending a month in Maya’s Vacation promotions, I’m switching gears to highlight some of my mentions and interviews for this very blog, the Gourmez, and the connections I’ve made with the wealth of amazing people in our food and drink industry in the Triangle. Today’s brag comes by way of my Carpe Durham connection, which is a food blog that has twice been a finalist for Independent Weekly‘s annual Best Blog award. In addition to my posts here, I also cross-post to Carpe Durham any Durham reviews that haven’t already been posted by one of the other fabulous CD bloggers. 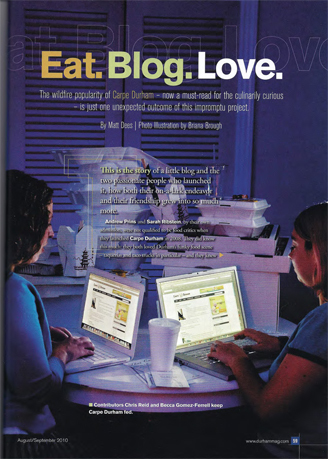 Back in 2010, Matt Dees, the hardworking and food-appreciating editor of Durham Magazine, contacted me and the other Carpe Durham bloggers about doing a piece in their first annual Foodie issue. Of course I said yes, and along with Carpe Durham‘s amazing primary blogger, DID, we did a little photoshoot for the piece. We were interviewed, too, and the piece primarily discusses the origins of the website with its creators, RPP and YAR. Now, it’s been two years since the articles, so I think I can post the scans without fear of dipping into Durham Magazine’s profits for the issue (What can I say? 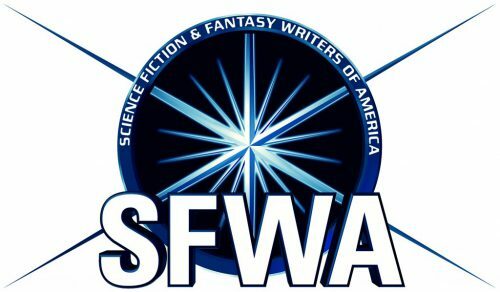 I support writers getting income for their work!). Matt, you let me know if you want it removed, mmkay? Here is the PDF of the article. I hope you enjoy learning about the history of Carpe Durham! I DO appreciate food. But I guess everyone does, at least to the extent that it perpetuates their survival. Thrilled that you’re posting this, actually. And I continue to be a fan of yours and Carpe.